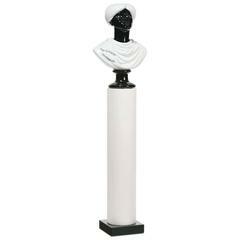 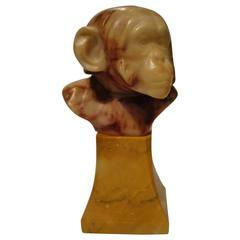 Moor marble bust in a Belgium black marble, the drape in painted white marble. 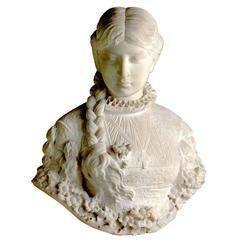 Polychromed white marble woman bust, Dossena attributed (19th century) from Florence, Italy. 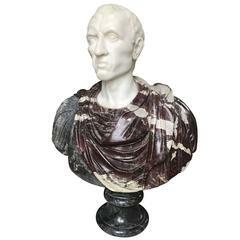 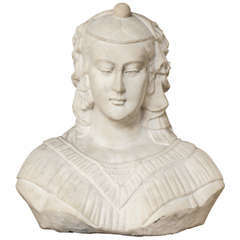 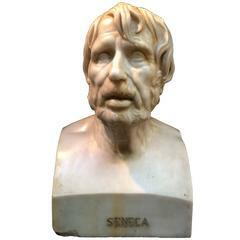 Stunning white carrara marble Seneca bust from the 19th century. 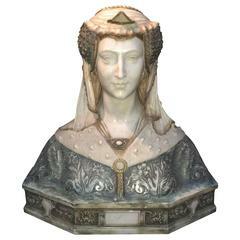 Carrara marble bust of the Virgin Mary. 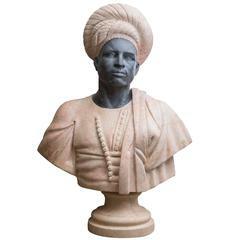 This marble bust of a Moor shows beautiful carved details of a ebony face with native turban and cloak, circa 20th century.